Recently we talked about the legacy debt that has been affecting TelOne, the state owned telecoms operator, but hadn’t really explored the performance of the company. It’s great that parastatals are now going to be sharing their results and its especially encouraging when the numbers are positive, as was the case with TelOne this past year. For the period ending 31 August 2015 the operator managed a 187.1% increase in profit before tax from the previous year’s $6,2 million to end the 2015 financial year on $17,7 million. Revenue for the year came to $162 million, representing a 7% increase from last year’s $152 million. The positive numbers are attributable to TelOne’s increased focus on internet services, which incorporated not only its old ADSL suite, but was also extended to include a Fibre to the Home offering, along with a metro WiFi service. Voice revenue from the TelOne fixed line business unit also weighed in strongly to total revenues. 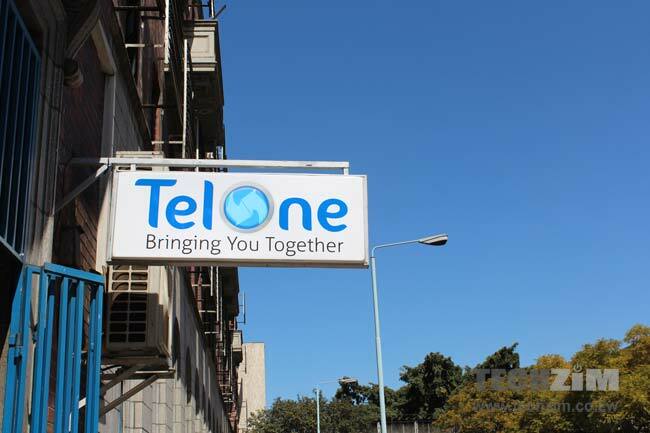 The biggest issue for TelOne is clearly the management of funds it is owed and at the 31st of August, its total debtors were $266 million. This comprised $88,6 million attributed to corporates, $80,1 million to household accounts, $41,5 million owed by parastatals, $46,8 million owed by the government and an additional $9,6 million attributed to other entities. Chipo Mtasa, the CEO of TelOne has mentioned plans to migrate to prepaid systems to avoid similar challenges with the collection of debt, something that has created an additional focus area for the operator as it focusing on improving its performance. I think slowly Telone is becoming a business. I was happy when they cut my phone over a $110 bill which l didnt bother to pay. ” Which i didnt bother to pay”…….sounds like the same league as the govt ministers who are running parastatals down. Something that you were strongly against in your several posts yet you practice silently when at home. We learn from the best isnt?, l think our ministers agree with me that they are the best, we should learn. Im now looking for ways around toll gates like them. Actually, l did pay, but didnt bother to pay all off. I made some calls to Mozambique and Europe in 1 month and my bill for that singe month was $270 something. I felt hard done but at the same time l did made the calls knowing that it was going expensive, not really sure how much but l now know. Kkkkk you surely learnt from them. But look at the debt from govt and parastatals, more than $60 million. How can a company be profiatable in that case?? Telone has an obligation to pay 15% vat on that amount despite not having collected revenue. Thats the same issue Netone is owed about $50 million also. I think our govt should have sold a stake to an investor, look what south african govt did with telkom and vodacom. Vodacom’s other stake was sold to vodafone and the company is now a cash cow for the govt. Our gvt will never sell any gvt owned entity that generate direct cash even if its for the good of bizness. Otherwise how will they keep Party operatives happy! The Minister is justifying nonsense i had to pay a lot of money as core payment to my dentist and recently for my mom’s hernia operation coz they claim Psmas was taking time to pay dues. And he was receiving $77000 extra whatsort of patronage is that. This is theft and the Minister should resign immediately! Every minister sees every ministry under them as cash pots. As long as they sing loud and donate handsomely to the Party, nothing will ever touch them. Just ask what happened to Chasi audit reports or what was done about them. You have some twisted form of justification. Do you kill too because some leaders kill? Does it matter in Zim? If you cannot beat them, join them! Well if we could have such appointments of excecutives in other parastatals the gvt wouldnt have problems. When she came on in 2012? Most people i know at telone wanted to run away since the jumbled mess of corryption and mismanagement meant nothing good was coming. Bt now look at telone replacing powertel. What ever happened there anyway. But the gvt sold and privatised Dairibord and it is now profitable. MacD if u say they wont say becoz they generate cash how will they get cash if they run up losses? By selling a stake to reputable firms like MTN they actually become profitable and generate more revenues that what they are supposedly getting at the moment. If all the parastatals are privatised they will actually become profitable and more viable. They sell run down entities which they know are beyond their capabilities, like Zisco. I do not like complete privatisation of state assets. Privatisation is not always the answer, look at China, most companies are state owned and very profitable.